How do we keep Girls Engaged in STEM Subjects? While in school, your daughter may show some strong interest and aptitude in STEM subjects. In recent years, researchers and educators have been pointing out what happens to this momentum of young women toward a promising education and career in maths, technology, engineering or mathematics: their interest drops off around the early years of high school. Last year, we wrote a post on this blog about this research, published by Australia’s Chief Scientist. Experts worry this nosedive has worrisome implications, keeping girls from pursuing and taking their rightful places in rewarding careers. While women are well-represented in the medical field, fewer than one in five Australians qualified in science, technology, engineering and maths are female (and there is a significant pay gap between men and women). What are some of the underlying causes? Researchers discovered that social pressures can play a role, combined with a lack of role models and support for female students. One study uncovered that classroom environment can exclude other students from the classroom community, especially girls. With these tips, support your daughter in the pursuit of STEM subjects in school. Even if she chooses a non-STEM career path, having that core knowledge can still make a positive difference on her future. If your daughter is still in preschool or in the elementary grades, look beyond the stereotypes and choose toys that encourage hands-on building. Play with construction toys, such as LEGO Bricks. Such toys are found to develop spatial skills, which research has linked to better performance in maths. Keep a radar out for people and their stories. Stories are important because they can help girls see a path to success, paths that defy the stereotypes. Check out books that talk about women who made a difference in STEM fields. In our house, we love the inspiring movie Hidden Figures, about the true story of brilliant women working at NASA as “human computers” during the space race! Do you remember Take Your Daughter to Work Day? Along those lines, think of a relative or family friend who is a woman — or knows one — working in a STEM field. Arrange an onsite visit and informational interview on what she does and how she arrived at this career path. If you tinker at home with different projects, get the kids, including daughters, involved and include them in your projects. (Fun fact: The founder of BRICKS 4 KIDZ, Michelle Cote, helped her father work on antique cars. His encouragement was a huge influence on her hands-on, creative childhood!) Ask them to come up with solutions to problems. Learning doesn’t stop when school’s out, nor should it. Always keep an eye out for enriching activities. 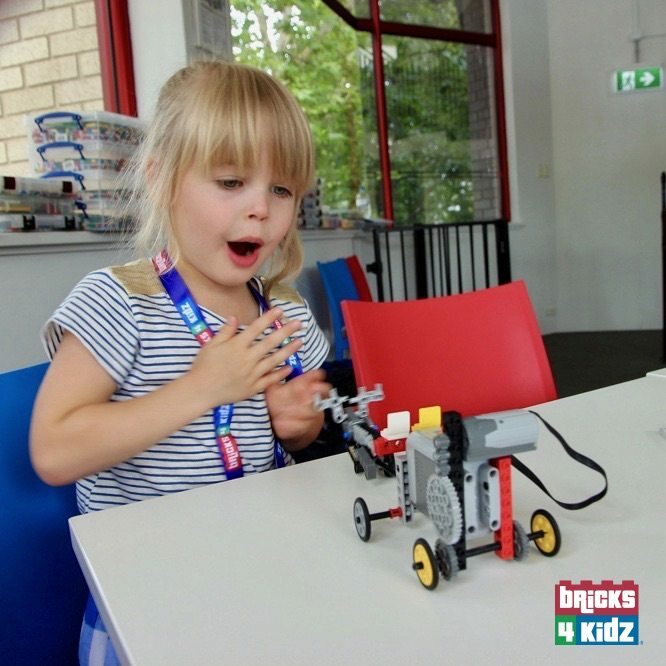 For example, a BRICKS 4 KIDZ school holiday workshop allows children ages 5-12 to build models and have fun. As they build (and play) with LEGO, they learn aspects of science, maths and engineering whilst developing their self-confidence and spatial intelligence. Some of our workshops introduce kids to Coding in an inspiring and engaging way, through Robotics! 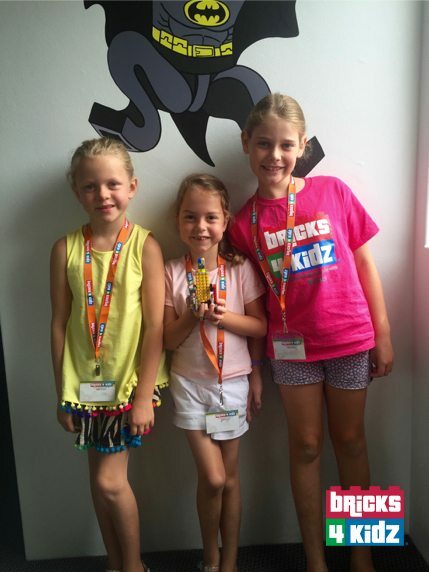 We help girls (and boys) build their STEM skills in a fun, inclusive environment!